It had been a couple months since we had visited with our friends Jeff and Maryann. Jeff has worked for Chris and we really enjoy seeing them. Life is busy and Jeff has started his own business and we wish him the best with it! We decided recently to meet them at one of our favorite local restaurants “Nectar Bar and Bistro” which is located in Osseo, Minnesota. If you live in the Minneapolis area I highly recommend checking out Chef Kevin’s restaurant. Our reservations were for 6:00pm. Chris and I arrived first and were looking over the wine list. Every Tuesday they offer half priced wines so we opted to try something different. We had each decided that we would have the Caribbean Spiced Mahi Mahi, Avocado & Cantaloupe Salsa, Jasmine Rice for dinner and since the fish would be slightly spiced I wanted to pair it with a Zinfandel. 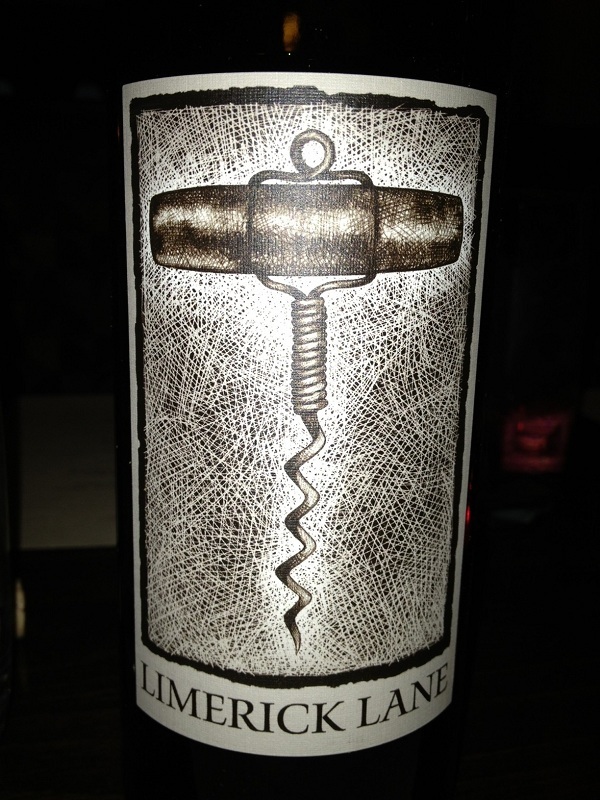 As we reviewed Kevin’s wine list we came across the 2010 Limerick Lane Cellars Zinfandel. I asked our server Michelle if she had tried this wine. 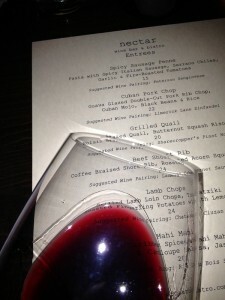 She had and said it was a more of a fruit forward Zinfandel than a traditional style. I was intrigued and ordered us a bottle to share. She brought two glasses and pulled the cork pouring a small sample. It’s standard but impressive for a quality server to pour you a tasting before serving all guests. If you are at a restaurant and the server does not do this I wouldn’t patronize them again. 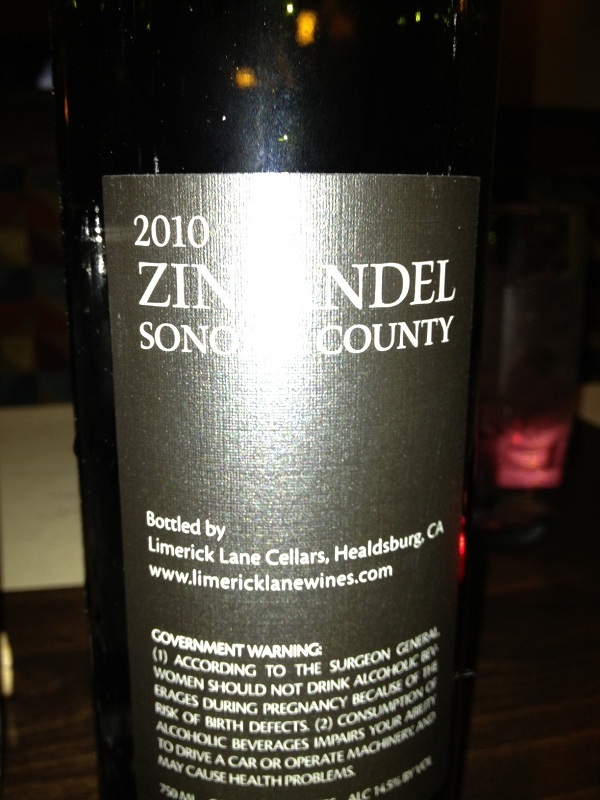 After tasting this Zinfandel I thought it was quite good and she continued pouring the wine. 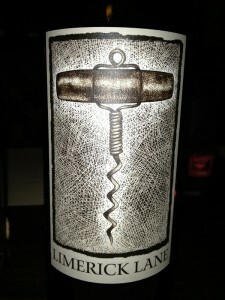 I took the time to rate the 2010 Limerick Lane Cellars Zinfandel before Jeff and Maryann arrived. It was getting a little dark in the restaurant so I could not give it a good look. What I could see it was a nice bright garnet to purple color. The Zinfandel was clear with no sediment. There was a slight spicy nose and I noted more fruit than spice. This is a very nice wine! The tannins were soft with a nice finish and similarly to the nose, I tasted light red fruit as well as spice. The Zinfandel was full bodied and what I liked was that the alcohol content was lower than most Zinfandel’s. 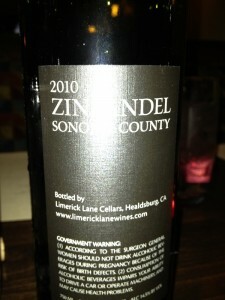 As Robert Parker notes on the Limerick Lane Cellars website, it is a must have wine for Zinfandel Fanatics. I would buy this Zinfandel again. We rated the 2010 Limerick Cellars Zinfandel three glasses. I could almost say the wine should be rated four glasses because of the fruit forward flavors and lower alcohol that I like. The next time we are in Sonoma County I hope to check out the tasting room.